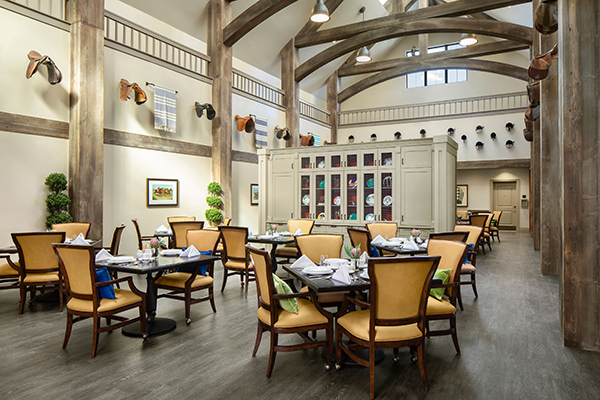 Images courtesy of Balfour Senior Living. 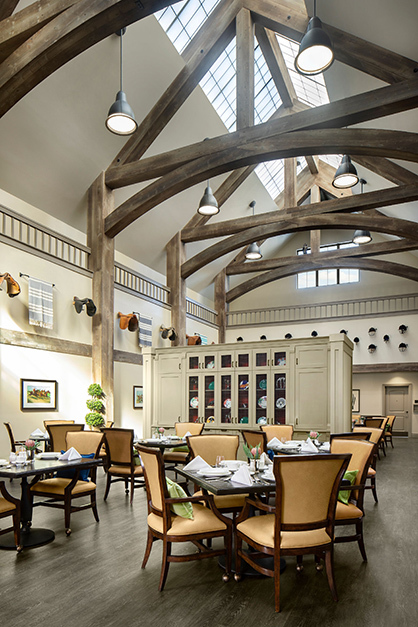 Upon entrance to the main dining hall, visitors are greeted by a high arched interior flooded with light, supported by massive wood beams that give the feeling of a grand equestrian estate. 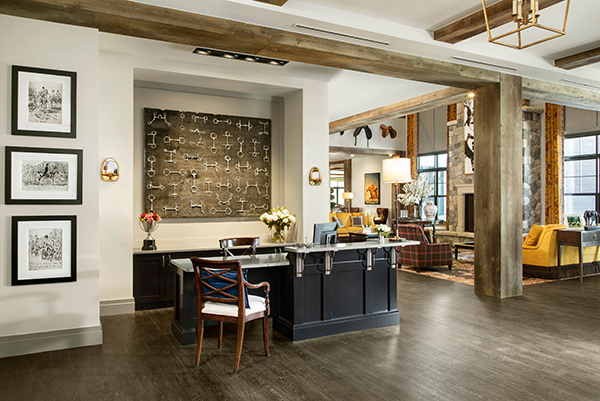 As if there were any doubts as to the inspiration behind the design of this property, the vintage saddles, velvet hunt caps, and horse show ribbons that adorn the living spaces confirm a decidedly equestrian vibe. Certainly not. 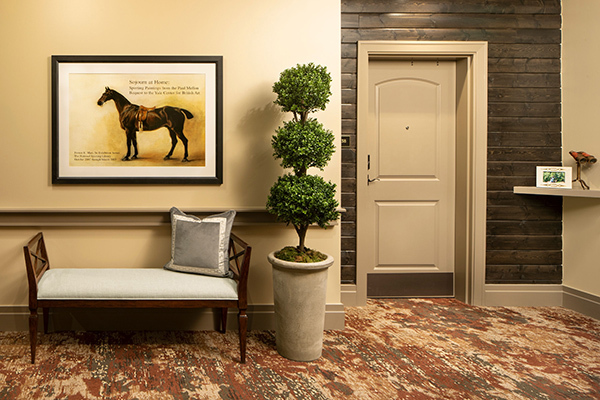 Balfour’s newest center at Littleton features stunning interiors that have been impeccably designed with thoughtful equestrian details at every turn. 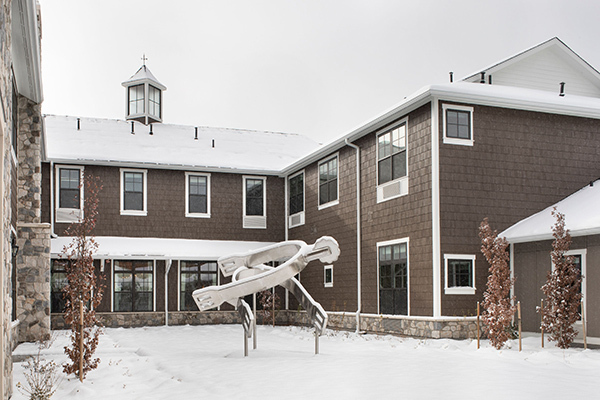 The journey begins with an enormous spur sculpture that greets visitors out front. Susan explains how this larger than life replica came to fruition. 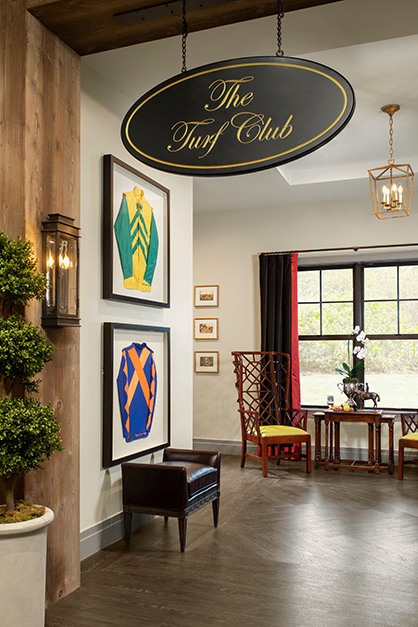 After visiting the John F. Kennedy Presidential Library, Susan discovered some of Jackie Kennedy’s horse show and fox hunting historical items that included ribbons, photos, clothing, and letters. 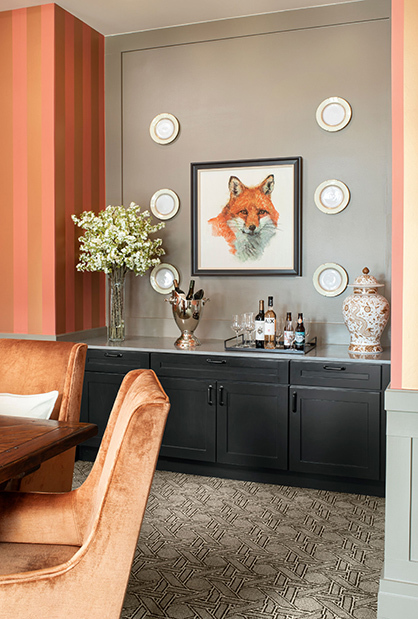 She was able to purchase the rights to use some of the images throughout the center. 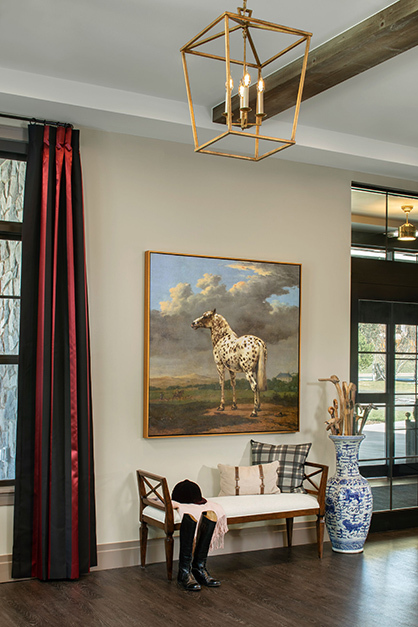 She also visit the Middleburg Sporting Life Museum in Middleburg, Virginia and Paul Mellon’s Yale Center for British Art in New Haven, which have two of the best collections of equine art in the world. The museums allowed Susan to buy licenses to the artwork or acquire reproduction rights for display. 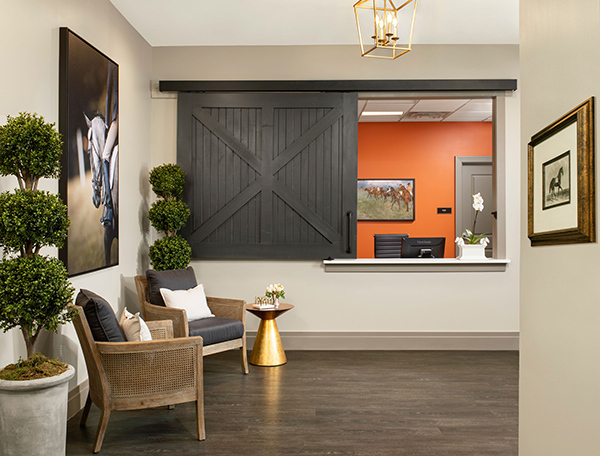 With Susan’s background in the horse industry, it comes as no surprise that the equestrian theme of the newest Balfour facility is near and dear to her heart. However, the design decision was more than a personal one. 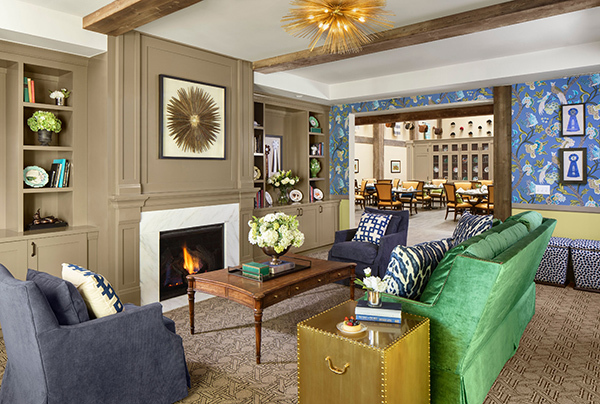 Beyond the luxury design of the facility, Balfour at Littleton comes with all the practical conveniences necessary for a senior living center as well. 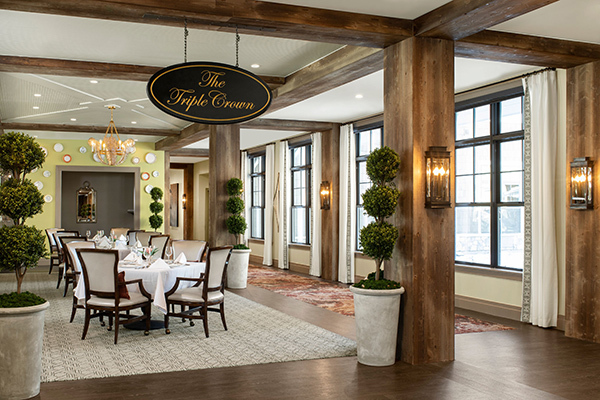 There are 86 total units, divided into 56 assisted living units and 28 memory care units. There is 24/7 nursing care, seven day a week chauffeured transportation, and a very enthusiastic culinary and life enrichment staff. Susan explains that the facility is 50% leased. There are no buy in fees, so they must earn the trust and respect of their customers on a daily basis. 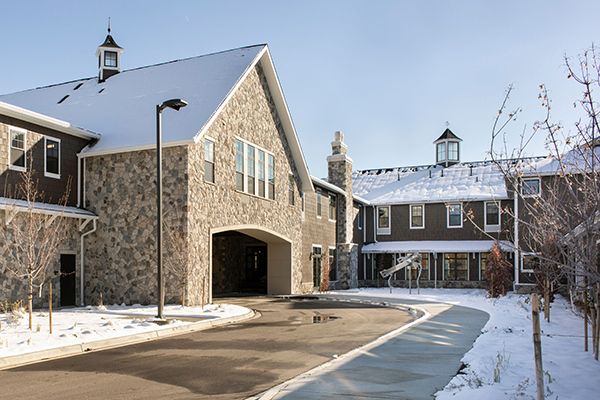 Now that the Littleton project is complete, Susan has set her sights on the next Balfour center, Lavender Farm, which is another collaboration with DTJ Architects and is scheduled to open in the spring. 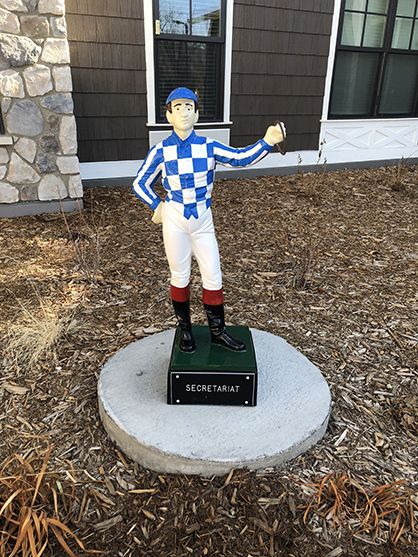 Susan admits that she would love to have an onsite equestrian therapy program on a future Balfour property and hopes she can find land to accommodate such a plan. Click here to read an Equine Chronicle profile on Susan in the August/September 2017 edition of the magazine. 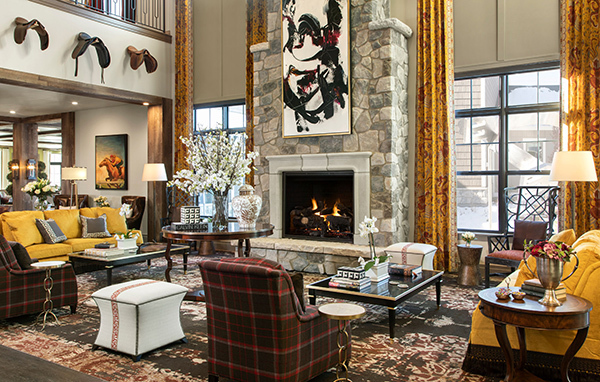 Scroll below for an inside look at the Balfour Center at Littleton.